For additional information about this book, visit the website ProfitableDiversity.com. In Profitable Diversity, executive and former chief diversity officer Anise Wiley-Little examines the intersection of diversity and business, sharing her perspective on a business practice that is often ignored despite the tremendous impact it has. Wiley-Little provides an insightful look into diversity and inclusion from a personal, yet provocative, point of view—prompting us to give careful thought to how this often-missed opportunity drives results. She also offers detailed strategies to learn more about the complexities of our similarities and differences, and discusses why they should matter to our corporations and communities. 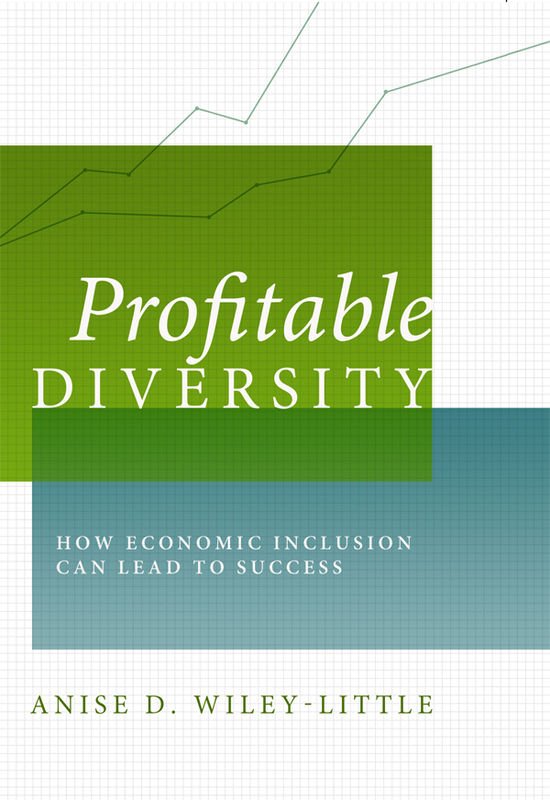 Profitable Diversity is a remarkable look at diversity today as an essential component for understanding and securing the future of our rapidly-changing and evolving global society. Anise D. Wiley-Little is a human resource, diversity and inclusion, work-life strategist, sought-after speaker and former chief diversity officer. She has spent more than 25 years in a Fortune 100 organization and serving the community. She has been quoted or profiled in many publications including the Chicago Tribune, Workforce Management, Investor's Business Daily, PR Week and HR Magazine. She lives in north suburban Chicago with her husband and two children.